Der Artikel Darius Milhaud (1892-1974): Suite für Klarinette,Violine & Klavier op.157b wurde in den Warenkorb gelegt. 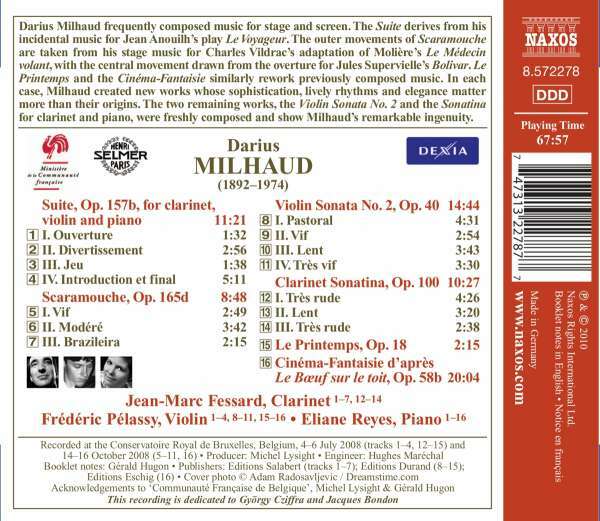 Darius Milhaud frequently composed music for stage and screen. The Suite derives from his incidental music for Jean Anouilh's play Le Voyageur. The outer movements of Scaramouche are taken from his stage music for Charles Vildrac's adaptation of Molière's Le Médecin volant, with the central movement drawn from the overture for Jules Supervielle's Bolivar. Le Printemps and the Cinéma-Fantaisie similarly rework previously composed music. 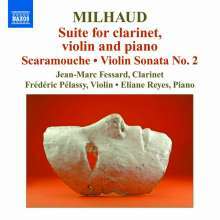 In each case, Milhaud created new works whose sophistication, lively rhythms and elegance matter more than their origins. The two remaining works, the Violin Sonata No. 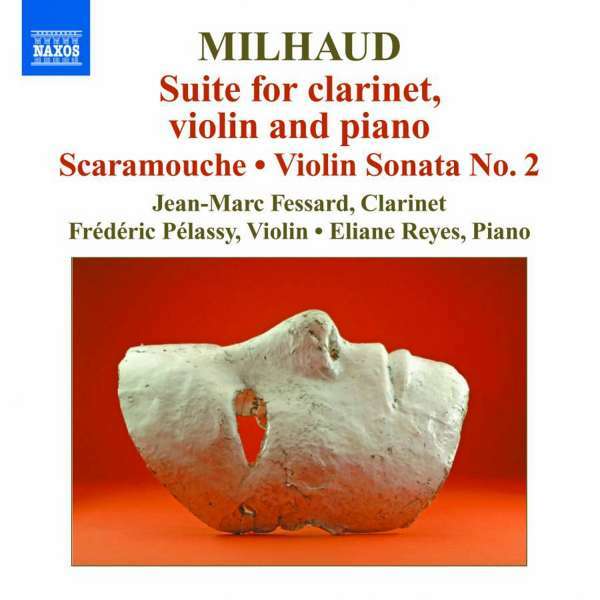 2 and the Sonatina for clarinet and piano, were freshly composed and show Milhaud's remarkable ingenuity.